Vital Water is a new nutricosmetic which can turn your water into a powerful energy source in a matter of seconds. Vital Water instantly improves fatigue thanks to the dose of Guarana which instantly kick-starts your body into action. It also helps protect against exhaustion and improves your focus, performance and concentration. 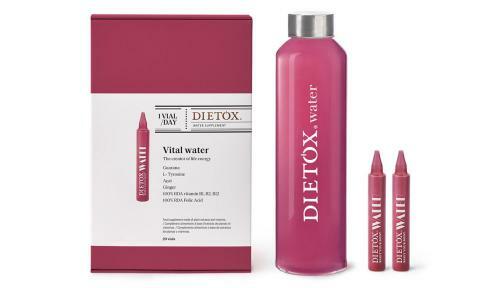 Vital Water has a long-lasting energizing effect. When consumed daily, the ginger, L-Tyrosine, Acai and Vitamins it contains work synergistically to steadily improve fatigue and enhance your vitality and mood, with long-lasting effects. 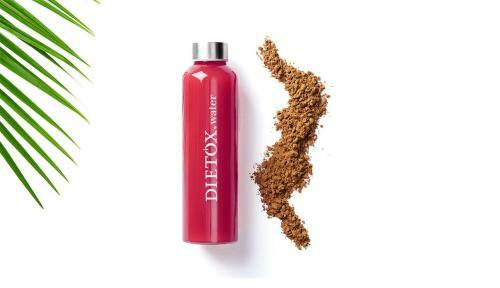 Complimenting detox fasts and diets if you are feeling low on energy. Moments of increased physical and mental stress. Busy times of the year when it comes to work and social events or when travelling and suffering from jet-lag. 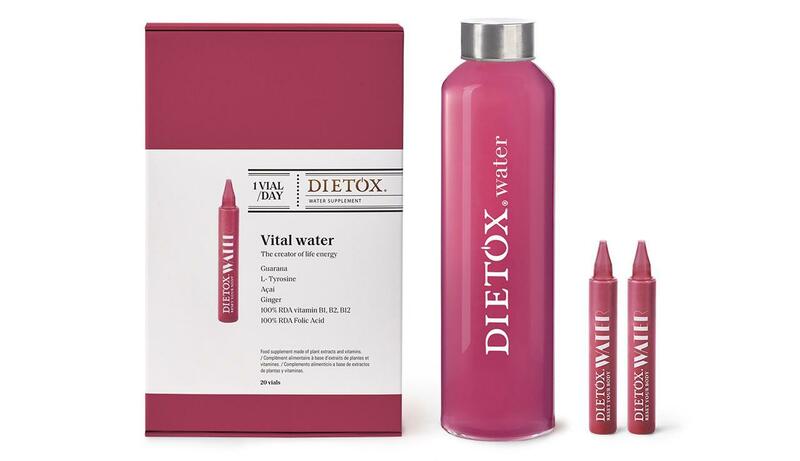 The box contains 20 vials, and with it, you can receive the exclusive Dietox water to carry your Dietox water with you wherever you go. INGREDIENTS PER RECOMMENDED DOSE (1 vial): Purified water, Chaste berry, Angelica root, Acai, Guarana, fructooligosaccharides, ginger root, L-Tyrosine, Xanthan gum, titanium dioxide, vitamin B2, vitamin B1, Allura red, Patent blue, soft mojito flavouring, vitamin B9, Cyanocobalamin. RECOMMENDED DAILY DOSE: One 10ml vial diluted in 500ml - 1,5L of water. Instant stimulating effect: one vial can significantly help to reduce fatigue and enhance vitality and concentration. Long-lasting energizing effect: diminishes fatigue and improves the body's resistance to physical and mental exhaustion. Satiating effect, helping to avoid snacking between meals, and reducing appetite at mealtimes. Slimming supplement: Induces your nervous system into accelerating the lipolysis process, helping your body to release fat into the bloodstream which is then consumed as energy during physical exercise.